Video games consist of nothing but fluffy puppy dogs, pretty flowers, friendly players, and content that doesn’t cost a dime, right? Or do video games consist of bloody murder, naked people, racists, and items that sell for $100 apiece? The answer lies somewhere in the middle, of course. 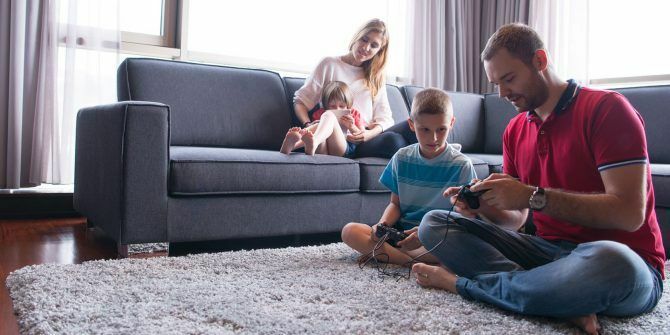 Being a parent in the age of video games 9 Popular Parenting Websites for Successfully Raising Teenagers 9 Popular Parenting Websites for Successfully Raising Teenagers Every parent wants to overcome minor problems and strengthen their relationship with their kids. If you want to handle difficult situations and topics, these websites are great starting points. Read More is scary because there’s so much out there to know. It can feel like exploring a jungle without a map. Don’t worry, because we’re going to act as your map. We’ll explain all the ins and outs of video games at a basic level so you can make good decisions on what your kids play. Whether they game on a console, PC, or mobile device, here’s what you should know. There are a lot of violent video games out there, and many of them are gory and disturbing. 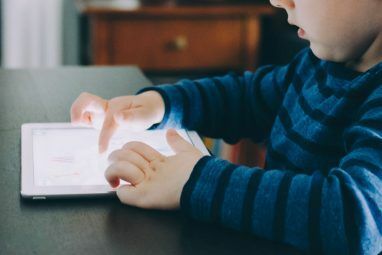 I’m not here to discuss whether these images have an effect on kids — that’s your job 5 Apps for Parents in the Digital Age 5 Apps for Parents in the Digital Age Cool Websites and Apps points out five apps that make being a parent in the Internet age just a little bit easier. Read More . I’m just here to inform you that games have clearly-defined age ratings similar to those offered by the MPAA for movies. In the U.S., the rating board is called the ESRB, and its website offers a detailed breakdown of what the ratings mean. Other countries have their own rating systems (such as PEGI for Europe), but they all follow a pretty similar structure. The highest rating in the U.S. is AO (Adults Only), but you’ll almost never see games released in this range because retailers won’t carry them. The M (Mature) rating is where most adult games fall (like Call of Duty, Grand Theft Auto, and Mortal Kombat), and these are recommended for ages 17 and up. From there, less violent games that feature mild language or suggestive themes fall into T (Teen), which is for ages 13 and older. For the younger crowd, there are two categories of the Everyone rating: E10+ and E. An E10+ game might feature some cartoon violence or crude humor that could be inappropriate for very young children. Standard E-rated games are appropriate for all ages. Another rare rating is EC, which is Early Childhood. These games are simple and meant to educate young minds. No matter a game’s rating, you can look on the back of the box to see the content descriptors. These offer specific categories of potentially inappropriate content contained in a game that led to its rating. Common descriptors include Violence, Language, and Crude Humor. Check the ESRB’s page for a full list. Here’s a news flash to no one: people can be jerks 5 Ways You're (Accidentally!) Being a Condescending Jerk Online 5 Ways You're (Accidentally!) Being a Condescending Jerk Online But here's the thing: you might be a jerk and not even realize it. Here are some things to watch out for. Read More . And people who are given anonymity through the internet while competing in sometimes violent forms of competition can be super jerks. When you launch a video game, a message that often sits alongside the rating is Online interactions not rated by the ESRB. That’s there because people will say mean, offensive, insensitive, and otherwise crappy things about others online and there’s no way for the ESRB to police that. Even if you’re not concerned about the M rating for a game like Call of Duty: Infinite Warfare (our review Should You Buy Call of Duty: Infinite Warfare? Should You Buy Call of Duty: Infinite Warfare? Call of Duty: Infinite Warfare is the third sci-fi entry in the series. With so many other solid shooters on the market, is this one worth your cash? Read More ), you should definitely take those online interactions into consideration. There’s a good chance your child will hear every vulgar word under the sun, and they might even be called a few of them for no reason. I don’t tell you this to discourage you from buying your kids multiplayer games. Even colorful, pleasant online games like Splatoon 2 on Nintendo Switch still draw terrible people. I only offer you the advice of disabling voice chat for anyone who isn’t on your child’s friend list. Everyone will be happier for it! Allow me to sound like a jaded old gamer 6 Ways Modern Gaming Has Ruined the Fun (And How to Fix Them) 6 Ways Modern Gaming Has Ruined the Fun (And How to Fix Them) Modern gaming has plenty of upsides, but some of the current trends worry us. Here are six ways that today's gaming has lost the magic of yesteryear, and how to cope with them. Read More for a second. In my day, you paid one price for a game, and then it was your game. If you played games in the past, that’s probably how you remember the video game owning process happening, too. Instead, parents and kids are beaten over the head with “free” games, especially on smartphones and tablets. One thing you, as the money-holding parent, need to keep in mind is that very few games are actually free. Instead, they’re usually filled with microtransactions Minecraft Is Set to Start Costing You More Money Minecraft Is Set to Start Costing You More Money Microsoft is launching the Minecraft Marketplace, where creators will be able to sell their wares for real money. This is good for creators, but bad for parents everywhere. Read More that can add up quickly if not kept in check. Often, these games offer a limited amount of “lives” and require either a waiting period or paying real money to try again. These can range from one dollar to hundreds of dollars, so don’t let the micro terminology fool you into thinking they’re all small amounts. Thankfully, you can disable these on just about every major mobile operating system What Are In-App Purchases & How Can I Disable Them? [MakeUseOf Explains] What Are In-App Purchases & How Can I Disable Them? [MakeUseOf Explains] "I can’t believe it!" my cousin said to me the other day, "someone’s just bought a $10 in-app purchase on my mother’s phone, and she doesn’t even know what I’m talking about!". Sounds familiar? How... Read More . You can also use the parental control features on consoles (we’ll get to those in a bit) to prevent unauthorized purchases. When a game is free on Xbox, PlayStation, PC, or your phone, it can usually be played (or at least started) for free. But a child could easily rack up huge bills (either by accident or on purpose) quickly. While setting them up varies from device to device, all game consoles, smartphones, and tablets come with some form of parental controls. You can use these to prevent purchases, limit use times, and even prevent games that aren’t appropriate from working at all. 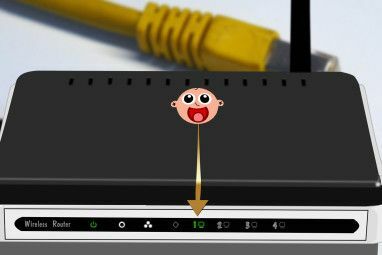 Those should help you get parental controls up and running. In the long run, spending the time to do it will save you headaches, both emotionally and financially. In many ways, challenge is a part of what makes video games fun 5 Ways You Can Get Better At Video Games 5 Ways You Can Get Better At Video Games The journey from noob to pro won't be easy, and it won't be quick. If you want to get better, you must be patient and be willing to put in the effort. Are you ready? Read More . However, when that challenge is too much, it has the opposite effect. Even if a game is rated E10+, it could still be too difficult for kids 5 Crazy Difficult Games You Can Get On Steam 5 Crazy Difficult Games You Can Get On Steam Thanks to Steam, you can play these games without spending too much money. Read More . That rating tells you that that content is (at least according to the rating board) safe for your kids, but it has nothing to do with how hard the game is. If you don’t play games yourself, the best way to find out the difficulty of a game is through reading reviews. More often than not, this is a talking point reviewers will bring up. We also live in the age of YouTube, so you can simply type a game’s name into YouTube’s search bar and see people playing it. Do they look like they’re struggling to get through? Your child might, too. Here’s a quick example: a game series that’s notoriously difficult is Dark Souls. Two of the three games in the series were rated M, but the second game managed to slip through with a T rating. It isn’t easier than the others — just slightly less gory. So don’t let the ratings fool you. They only concern the content, not how hard it is. A bit of a hidden cost to console ownership is the cost of online play. Microsoft started charging with Xbox Live, then Sony followed Xbox Live vs. PlayStation Plus: What Do You Get With Each? Xbox Live vs. PlayStation Plus: What Do You Get With Each? If you're got a PS4 or Xbox One, you've probably thought about subscribing to PlayStation Plus or Xbox Live Gold. Let's see what they offer gamers for the price. Read More with PlayStation Plus. Nintendo has announced that it will also begin charging for online play with the Switch You Can Now Download the Nintendo Switch Online App You Can Now Download the Nintendo Switch Online App Nintendo has released Switch Online, the mobile app that will enable Switch owners to game online. Just don't expect it to actually work yet... Read More . One of the biggest appeals (and most terrifying aspects, as discussed above) of modern consoles is online play, and not having them really hurts the experience. While the costs aren’t massive ($60/year on Xbox One and PS4, $20/year on Switch), they are present. To help soften the blow, all three console companies offer free games to go along with them Free Games for PS Plus & Xbox Live in July 2017 Free Games for PS Plus & Xbox Live in July 2017 July brings us new games for PS Plus and Xbox Live subscribers. Here are the free games for this month. Read More , but you will need to “purchase” them while they’re free in order to play them later. There’s no charge for online play on PC unless a specific game (like World of Warcraft) has a monthly charge. What Do You Want to Know About Children Gaming? Now you’re armed with the knowledge you need to help your kids have fun and stay safe while playing video games. It can seem crazy out there, and in some ways it is. 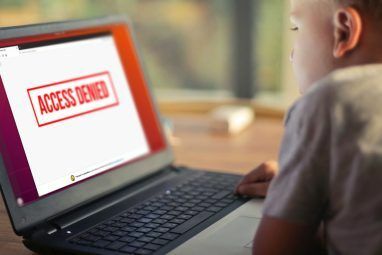 But as long as you keep an eye on those ratings and use parental controls, you’ll be able to keep the experience as safe and enjoyable as possible. If you’re looking to enjoy some video games with your kids, check out the best children’s games that are fun for adults 5 Children's Video Games That You'll Enjoy Too 5 Children's Video Games That You'll Enjoy Too Just like you enjoy that animated movie as much as the kids it was made for, the world of video games has some great titles that appeal across ages. Read More . Parents, what else would you like to know about the world of video games? Gamers, do you have any tips for parents of kids who are just starting to play? Share and ask in the comments! Explore more about: Gaming Culture, Parental Control, Parenting and Technology.